8 year old boy gives an idea for Angry Birds Movie! 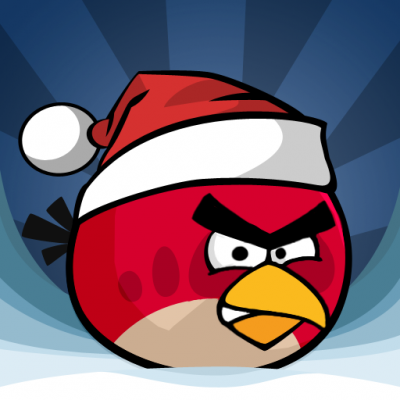 Angry Birds, Most popular IOS,Android game ever made. More than 50 million downloads on Itunes App store and I love it! When I was browsing Rovio’s web site ( Angry Birds developer ) I saw a comment of 8 year old boy expressing a idea about a movie on angry birds. I think its very nice idea and very nice for 8 year old boy! Rovio…I’m begging you to make and Angry Birds movie! Here’s my idea…A bird watcher is watching birds, then he spots some feathers in the grass – the colours are black, blue, red and pale red. Then he walks over to the feathers and something jumps up and attacks him. He is knocked out. Then he wakes up and runs away. He tells the other bird watchers and they sneak up behind the little feathered creatures and captures them in a cage. When they look at the feathery birds and they find out that these aren’t ordinary birds…they are extremely rare and they say it’s their anger that makes them so rare and popular. They get so angry they can bash through anything. Then the bird watchers put them in their bird shed and they bring in a lime green pig they found out roaming the streets, hungry and tired. But then the pig walked into the bird shed and the angry birds got really angry when they saw the lime green pig. The pig ran out of the bird watchers shed and then he went into the Big Bacon’s secret hideout (the King pig of all lime green pigs) on a very old street called Surly street in a very old shed. Then the lime green pig came into the Big Bacon’s hide out and brought with him 3 eggs. Then all they needed was fire to cook the eggs. So they sent out moustache pig to look for some firewood but the bird watcher missed one bird – big brother bird. Big brother bird attacked moustache pig and he was so badly injured he had two black eyes. Then the pig rolled over through a hedge to a tree beside a garden. A boy was playing in the garden and he saw the pig coming out of the hedge. The moustache pig started acting and the boy took him into his home and said “Can we keep him Mom?” His Mom said “Ok dear just don’t let him get into the mud” Then at bedtime for the little boy the moustache pig ran out of the door and got some firewood. He ran back into Big Bacon’s hide out and gave him he firewood. All he needed was flint to light the firewood. Back at the birdwatchers shed the angry birds were very angry and the birdwatchers came to see what was wrong with the bird and they picked the birds up and they took them out into a field. The birdwatchers started following the birds and they all saw that the bird’s nest was empty and they birds went mad. The birds smelled a firey smell and followed it to the Big Bacon’s hideout. So they found that pigs were trying to fry their eggs without cracking them first. Then the birds went ballistic. Big brother bird had an idea. He let out a HUGE squawk and the clouds turned dark. The big brother bird gave the pigs a can of fish. So the pigs were very happy because they always wanted tuna with eggs but then this HUGE shadow swooped down and grabbed the pigs in his beak. It was the mighty eagle and the pigs were worries ‘cos they were in the mighty eagle’s beak. The pigs got really scared when they looked down. Then the mighty eagle dropped the pigs into the middle of no where in China. The birds saw their eggs and they were too late. They were already cooked. The birdwatcher took the birds eggs out of his backpack and said “You didn’t really think that they were your eggs, did you? They were hens eggs. When the mighty eagle attacked I switched the eggs!” Then the angry birds started to cheer and squawk with delight. The birdwatcher took care of them and the bird watcher boss took out a golden egg and out of the egg came: THE END!